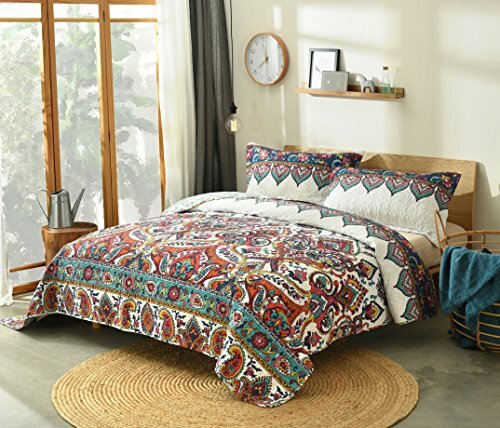 New (2) from $94.99 & FREE shipping. 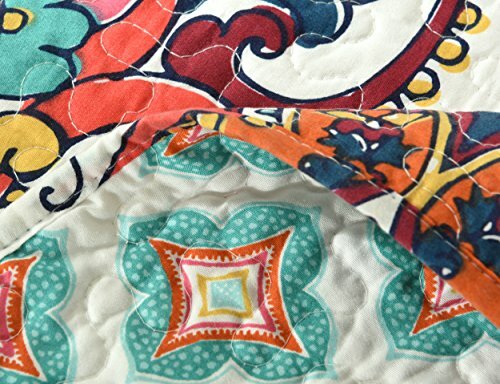 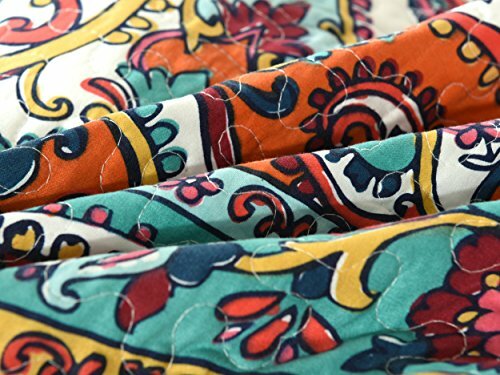 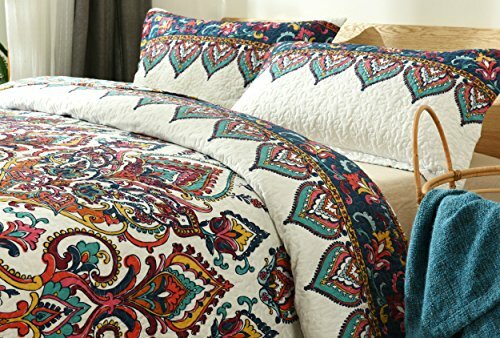 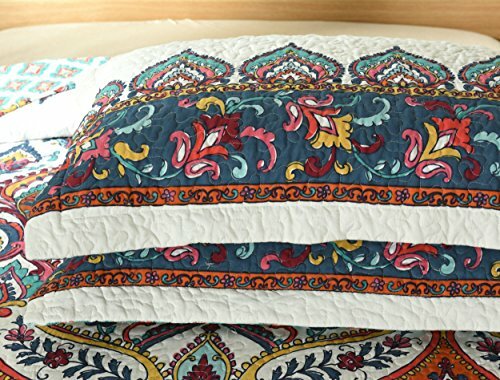 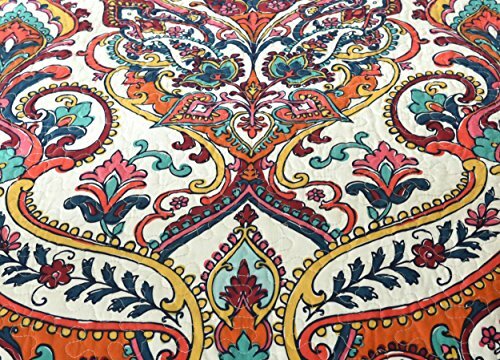 100% MicrofiberImportedFeatures multiple soft to touch textured floral paisley patterns from the ends of the bedspread in multiple shades of orange, red, yellow, blue, and pink. 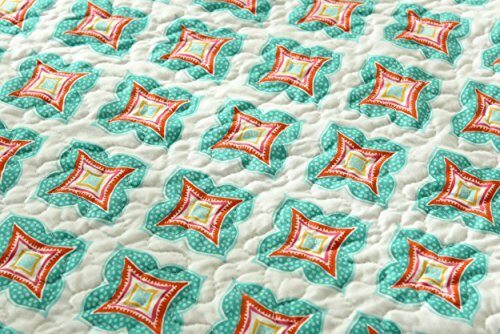 The backside is a solid white background with small floral star-like teal blue and orange accents to simplify the bedspread.Included - One Cal King Bedspread: 102” W x 108” L & 2 PC King Sham Case – 20” x 36”Lovely addition to any sleeping space - Ideal for warmer climates - Perfect for the spring, summer & autumn seasons - Layer underneath with a comforter for the ultimate warmth during the colder seasons.Bedspread Material - Fabric: 100% Microfiber - Filling: 50% Cotton & 50% PolyesterWashing Care Instructions - Machine Wash Cold, Do Not Bleach, Tumble Dry in Low Cycle & Remove Promptly - Line dry if needed. 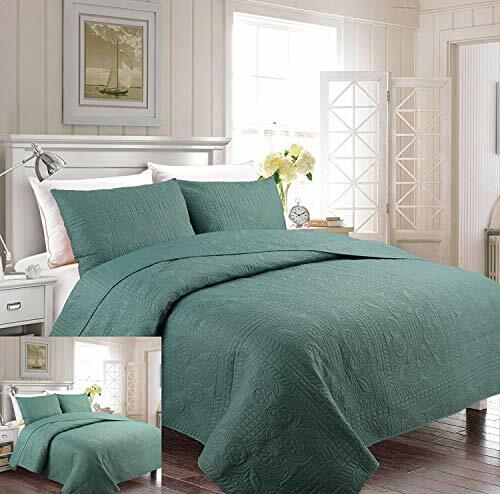 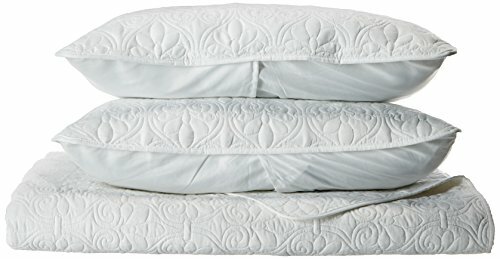 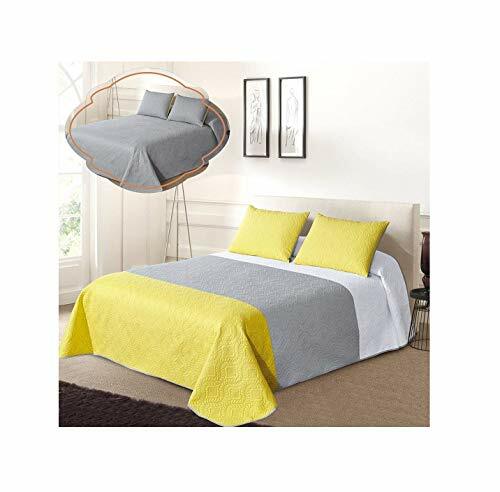 Fancy Collection 3pc Luxury Bedspread Coverlet Embossed Bed Cover Solid Spa Blue Over Size New Full/Queen 100" x106"